Everybody in the world loves freedom, the person who is being held tends to enjoy freedom, the prisoner is in a strong desire to escape from the prison. The movie Prison Break has become a monument to the most elaborate escape screen of smart people who have made the plan almost without defects. 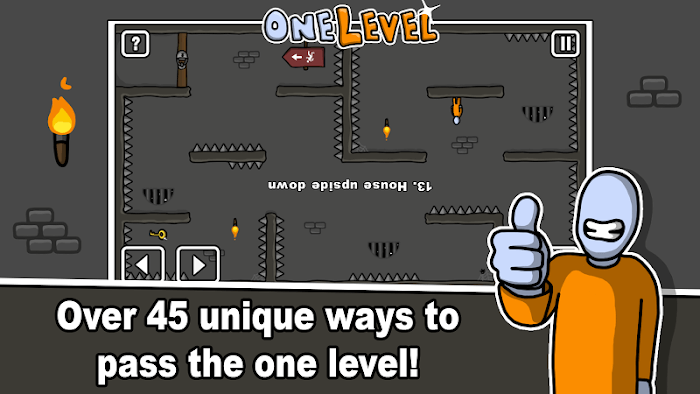 One Level: Stickman Jailbreak is a lighter version when you still have to escape prison but the challenge of RTU Studio is to test your intelligence rather than harsh real prison. Relax and enjoy the game. 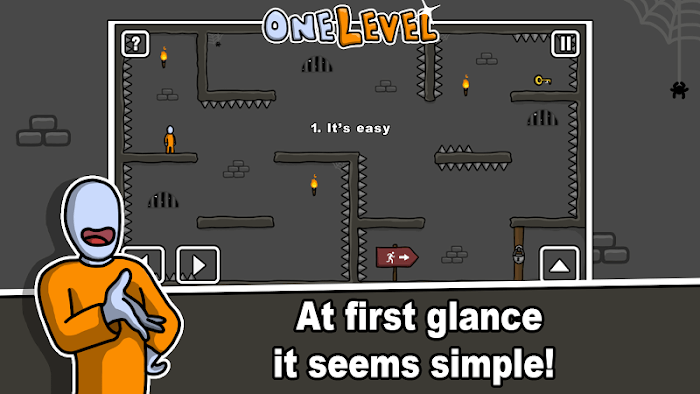 Stickman games are so well-known that just about anyone imagines how to play the game with the graphics level. Characters and everything is minimized. Even though our protagonist was wearing a prisoner uniform, it was just a slippery orange suit, no textures, nothing. To the extent that the prison is a play map is only designed only one and people find ways to customize it into many different challenges. It seems that everything is simple. That makes the player focus on one thing: Find a way out of jail with your intelligence without having to distract by anything. Although this is a game with not very clear content but is just a puzzle game only. 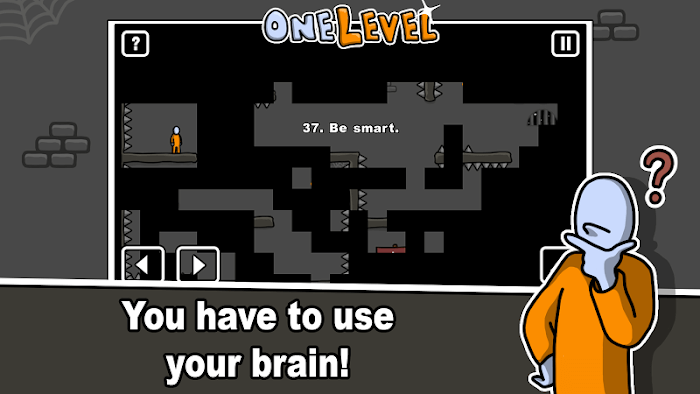 If you are a smart person and want to challenge yourself, please download the game and try it out. Many surprises are waiting for you.